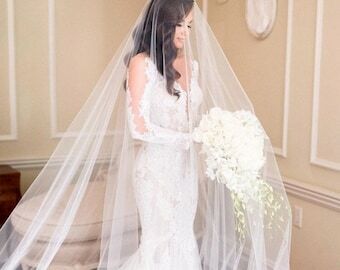 This stunning raw edge drop veil is hand painted with beautiful flowers drifting down the back, and small Swarovski crystals throughout a handful of flowers to add that perfect subtle sparkle. 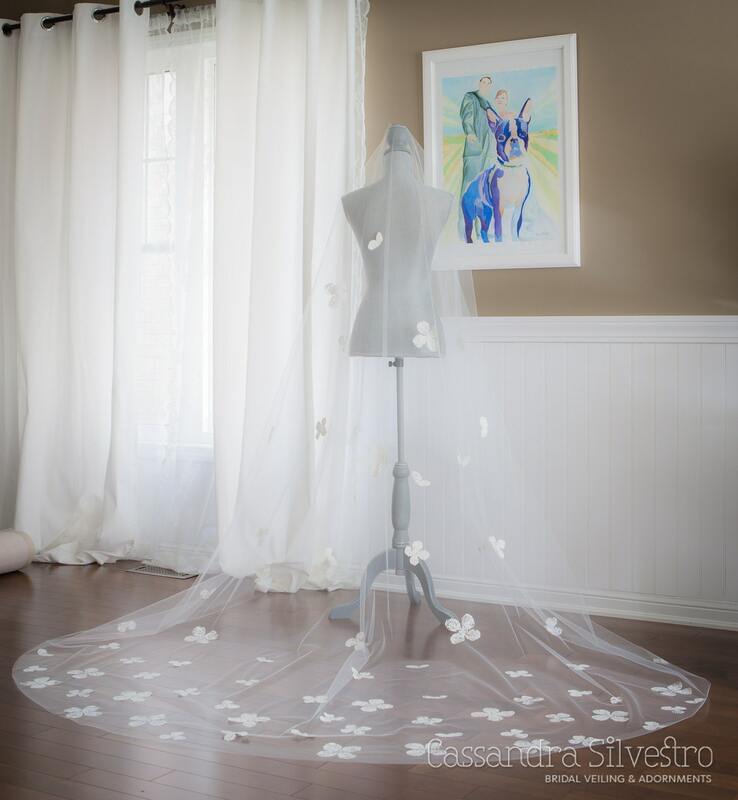 105 inches long and 90 inches wide, it is hand crafted with gorgeous soft bridal illusion tulle and adds the perfect dramatic effect to any gown. 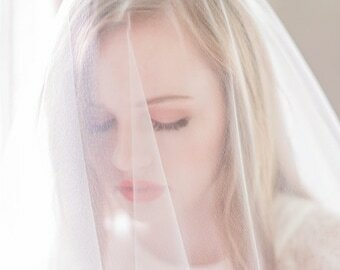 The veil is glued to a clear comb to create a beautiful sheer effect. It is available in diamond white as shown.